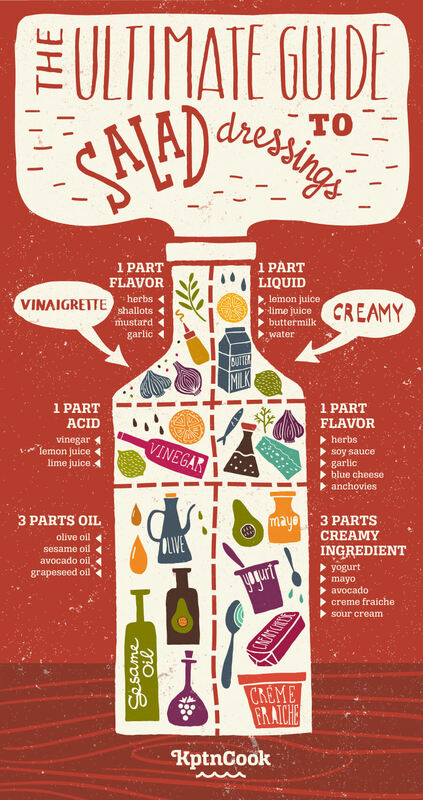 Posted in Foodie Talk and tagged cooking, dressing, food facts, food fun, how to, infographic, salad. Bookmark the permalink. In our app you can find 3 delicious recipes from food bloggers every day. Get to know more about us here. (Deutsch) Warum Schafkäse unser bester mediterraner Freund ist! Spread the Love of Food – the new sharing feature is here! Sign up to the KptnCook newsletter for news, tips and kitchen hacks! No spam, or spam ham for that matter!